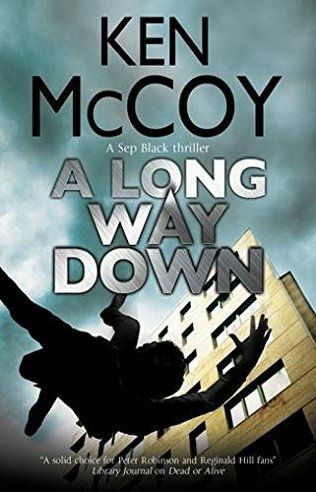 Detective Inspector Sep Black finds himself investigating two connected cold cases in the second of this exhilarating series of hard-hitting police procedurals. When a wealthy businessman suffers a fatal fall from his office window, the forensic evidence points to murder. But with no suspects, no clues and no apparent motive, the police investigation stalls. It's passed over to the Cold Case Unit where it remains on file, inactive until further evidence emerges. Some months later, an attractive widow approaches DI Sep Black with a request that he look into the murder of her husband. Freelance journalist James Boswell had been working on a major story - and his widow Sandra believes it had something to do with his death. What did Boswell discover that got him killed? As he starts to ask questions, Black uncovers a possible connection between the two murders. But before he can find out more, an almost-successful attempt on his life reveals that someone is determined to stop him finding out the truth - whatever it takes.